Max Weill paid about $1,000 to repair the fire damage and things returned to normal at No. 112 Franklin Street. The building was burglarized in 1875 by the career criminal John Richard Dolan. The crook’s final arrest took place following the highly-publicized murder of wealthy brush manufacturer James H. Noe. On the morning of Sunday, August 22, 1875 Noe surprised Dolan burglarizing his factory. A violent scuffle ended in Noe’s death. Blanche’s tenants continued to be textile concerns. In 1905 L. S. Eaton, “white goods and handkerchiefs,” shared the building with E. I. Eisler, linens; Max Goodman, “foreign and domestic hosiery and gloves;" and linen merchant J. L. Freud. By 1909 Switzer & Schussel, “importers and dealers in umbrellas and parasol fittings, walking canes, etc.” would also be here. In 2003 a renovation was completed that resulted in five residences—one per floor—in the building. Bare brick walls, pine floors and pressed tin ceilings were preserved as the former factories were transformed into high end condo-coops. Although the once-white marble is stained to dingy beige after a century and a half of weather and pollution; the building is remarkably preserved. Even the 19th century double doors in the cast iron storefront survive. In 1879 Richard Arnold and his sister, Henrietta Constable, laid plans to demolish the old Constable and Arnold family homes on West 23rd Street. Richard was a partner in the highly successful Arnold, Constable & Co. dry goods firm. Henrietta had married his partner, James Constable. And while they hired William Schickel to design the modern commercial building for that site; they turned to architect Griffith Thomas for a speculative residential project uptown at the same time. They gave Thomas the job of designing a row of ten brownstone rowhouses on the north side of East 81st Street, between Fifth and Madison Avenues. Construction started in 1878 and was competed the following year. Richard and Henrietta retained possession of No. 11 until 1890, when they sold it to Henry Batjer. Born in Bremen, Germany, Batjer was the senior member of Batjer & Co. of No. 45 Broadway. He and his wife, Harriet also maintained a summer residence, Howcroft Farm, in Maywood, New Jersey. The family included two daughters and a son. Young Henry Jr. was a member of the prestigious 7th Regiment, nicknamed the “Silk Stocking Regiment” because of its socially-elite members. Another 7th Regiment member was Henry’s brother-in-law, Albert Edward Pond who had married Josephine Batjer. 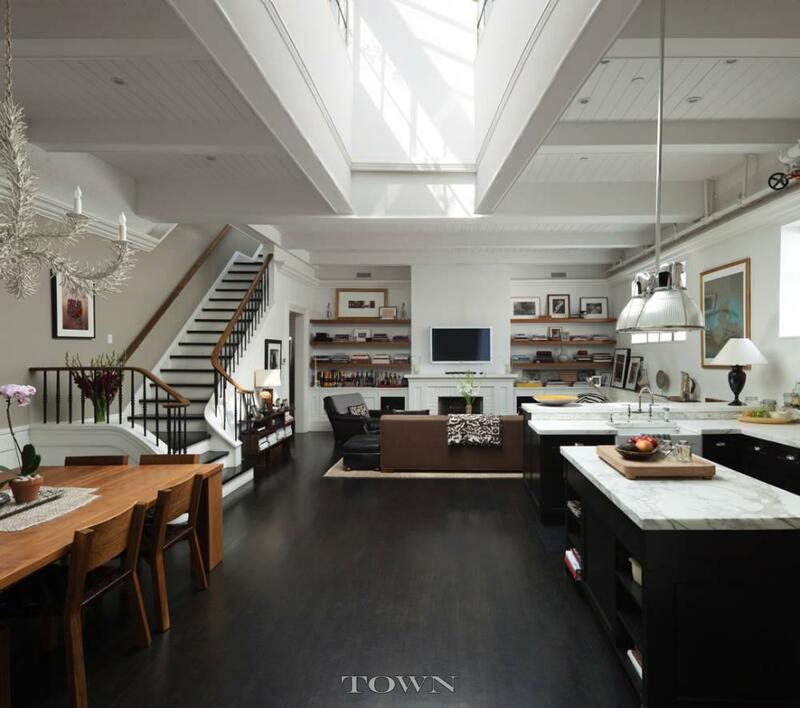 The couple lived with the Batjer family in the commodious brownstone. 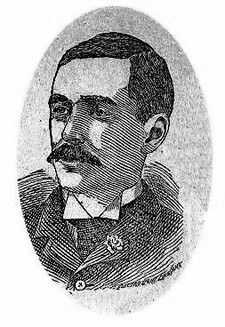 As the year 1894 came to a close, Henry, Jr., became ill. His condition worsened and on Friday, January 4, 1895 he died in the house at the age of 28. Captain Charles E. Lydecker requested the members of his company to attend the funeral in the 84th Street house at 4:00 the following Sunday. “The usual badge of mourning will be worn thirty days,” instructed the Captain. The mansion was the scene of a more joyful event three years later. Following the wedding of daughter Virginia to Luther Connah Brown in St. James Protestant Episcopal Church on Madison Avenue, the reception was held in the house. The parlor of No. 11 East 81st Street was the scene of a funeral again, on Sunday, January 19, 1902. Albert Pond had died of pneumonia in the house three days earlier. In 1907 (the same year that Virginia died), Josephine remarried. Somewhat ironically she now married Major Charles Edward Lydecker—the same 7th Regiment officer who announced the death of her brother 12 years earlier. Lydecker’s first wife, Ella Voorhis, had died in 1889. A graduate of the Columbia Law School, he was a member of the firm Redfield & Lydecker and the city’s Public Administrator. A year before his wedding to Josephine he was made president of the National Guard Association. The new family, including Charles’ three children and Josephine’s son, moved in with Henry Batjer, now widowed, at No. 11 East 84th Street. The family received a scare when young Kenneth Lydecker, an engineer, was traveling on the Pennsylvania Limited on Thursday, February 15, 1912. The train wrecked near Altoona, overturning cars and injuring 67 and fatally wounding three. Seconds before the wreck, as Lydecker realized that “things were going wrong,” in his words, he reached up to pull the emergency cord. At that instant the car turned over. Lydecker suffered only a badly bruised elbow and a hurt ankle. In 1914, as war broke out in Europe, Charles Lydecker warned of the need to prepare for war. He helped organize the National Security League that year and was its President for two years. Then, in 1916, he was forced to step down because of ill health. The Lydecker family remained in the house on East 84th Street and continued to use Howcroft Farm as their summer residence. One by one the children married and left the home. In 1918 Warren B. Pond, Josephine’s son who was attending an Army Aviation School, became engaged to Marion Chapman. But the wedding never came to be. Lydecker’s will left Josephine one-third of the estate. She already owned outright the houses on 81st Street and in New Jersey. His daughter Nathalie L. Dyer received another third; and the final share, which was made up of Lydecker’s swords, medals and awards, was to be divided equally between his sons Leigh and Kenneth. Josephine’s son, Warren, received nothing “because he is already well provided for in other ways,” said the will. Love finally came to Warren and he was married to Helen R. Schniewind in the Fifth Avenue Presbyterian Church on October 6, 1921. It was a high-profile society wedding with names like Payne, Gardiner and Mellon in the wedding party (attendant Ailsa Mellon was the daughter of Andrew Mellon, Secretary of the Treasury). The house, now architecturally out of style, was sold in October of 1924 to Stanleigh P. Friedman and his wife the former Rena Frowefeld. Before moving the family in, they hired architect Julius F. Gayler to give the façade a facelift. Three years earlier Gayler had designed the double-wide neo-Federal mansion next door for Granville Lindall Winthrop. The chaste architectural style had been in favor for about two decades. He turned to it again for the Friedman house, stripping off the old brownstone front and stoop and creating a pleasing partner to its neighbor. Instead of the more expected red brick, Gayler used brown, laid in English bond and trimmed in white marble. Seeking harmony, he nearly duplicated both the splayed keystones and the cornice of the Winthrop house. The main doorway, once a flight above the sidewalk, was moved to the former English basement level, a few steps below the street. With Stanleigh and Rena in the house were their two children, Edward and Dorothy. Friedman was a man of many talents. Having graduated from Yale in 1905 and from the Harvard Law School in 1908, he became a partner in the law firm of Friedman & Bareford I 1912. Active in the Association of the Bar, he served as chairman of its Committee on Courts of Limited Jurisdiction from 1921 to 1936. In 1904 while a undergraduate at Yale University he wrote its well-known fight song “Down the Field.” For that the school honored him with an inscription carved on the walls of Welch Hall. He also wrote “Glory for Yale," “Whoop it Up,” and other school songs for the college. Friedman’s talents went beyond college songs. He wrote a cantata, “All Ye That Cleave Unto the Lord” and an anthem, “God is My Trust.” His arrangements of Bach’s “Bist Du Bei Mir” and “Gavotte en Rondeau” were performed by the New York Philharmonic Orchestra. Highly cultured, when the attorney was not busy with legal matters, he was President of the Schola Cantorum of New York, a Director of Ballet Associates in American, a member of the American Society of Composers, Authors and Publishers and a member of the Yale Club. As if all of this were not enough, in 1931 he became a vice-president and director of Warner Brothers Pictures. Friedman functioned as the motion picture company’s attorney. The year 1940 was a momentous one in the Friedman house. On April 18 daughter Mary’s wedding to Sylvan Schwartzreich was held in the house; and two months later her sister Dorothy’s engagement to Martin A. Roeder was announced. Dorothy had graduated from the exclusive Lenox School and Finch Junior College while her fiancé was an alumnus of Columbia, Columbia Law School and had attended the Sorbonne. After decades in the house, the amazingly diverse Stanleigh P. Friedman died here at the age of 76 on September 30, 1960. Rena remained in the residence. She died on June 19, 1976. Two years later the low parapet above the cornice was removed and a story added. While the architect admirably matched the brick and copied the lintel treatments; the addition upset Julius Gayler’s handsome proportions. The house remains a single-family residence after nearly 140 years. Robert Ray Hamilton came from one of New York City’s most esteemed families. His father was the highly-lauded Civil War and Mexican War veteran General Schuyler Hamilton; his grandfather was the historian and attorney John Church Hamilton; and his great-grandfather was Alexander Hamilton. An attorney, Robert had attended both Columbia College and Columbia Law School. In 1881 he was elected to the New York State Assembly and remained in office until 1889. Like the rest of his respected family members, he led an untainted life—until his last year in politics. Hamilton had begun an affair with Evangeline L. Steele in 1886. Unbeknownst to him, as The Sun later said, she had led “a disreputable life.” What he also did not know was that she was already married, to “Josh” Mann. 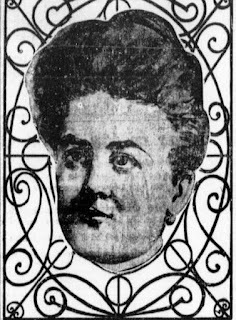 Popularly known as Eva, she recognized the financial opportunity the affair presented and she laid plans to ensnare her lover. In December 1888 Eva and Josh traveled to Elmira, New York. The Evening World later reported “They decided that Eva should get a baby, and make Mr. Hamilton believe it was his. If they succeeded they knew he would not suffer the little innocent to go through life unnamed.” On December 17 they paid $10 for an unwanted newborn. Hamilton believed the child was his; but Eva’s demands that he marry her were temporarily halted when the baby became ill and died. The death certificate listed the child’s name as “Alice Mann, daughter of George and Alice Mann,” and stated the cause of death was “want of breast milk.” Eva, who had never been pregnant, was unable to nurse the infant and it died of starvation. Before the baby was buried, according to court testimony later, a replacement baby was purchased (also for $10). Josh Mann’s mother, “Grandmother” Anna Swinton, moved in with the couple to ensure this one would not die. “Hamilton knew nothing of the death of the first one, and yielding to the persistence of Eva he married her in Paterson, N. J. on the 7th of January last,” explained The Evening World. In February Hamilton took an apartment in the Marshall Flats on West 15th Street. Joshua Mann rented a flat on the same street and when Hamilton was not around, he and Eva lived together as man and wife. And she provided him with large sums of Hamilton’s money to live on. Because Hamilton was still serving in the Assembly, he was often out of town. The New-York Tribune reported “Before she married Hamilton, he agreed to give her $6,000 a year for pin money and to defray her expenses at home.” A quarrel over that allowance brought an end to the marriage and to Hamilton’s reputation. On August 26, 1889 the couple was summering in Atlantic City. Eight months earlier, just after Hamilton learned of the baby, he had hired a nurse, Mary Anne Donnelly, to care for the child. Donnelly traveled with the family, accompanying them to California earlier that year. But that morning, after Evangeline repeatedly pressed Hamilton that they should live permanently in Manhattan; he told her that he would reduce her allowance if they did. “Quick-tempered and passionate, she began to quarrel with him and threatened to leave him forever,” said the New-York Tribune a few days later. Hamilton refused to budge on the subject. At one point Mary Anne Donnelly tried to intervene, but she was told to leave the room. Eva did not like the nurse and already had instructed her husband to fire her. She demanded that Mary Anne leave the cottage. When she was unable to move her husband, Eva turned to the whiskey bottle. A physical confrontation followed, during which Mary Anne proved to be a better street fighter than Eva. “Mary was as strong as a bull and had the fight lasted much longer Mrs. Hamilton would have been beaten insensible,” reported the Tribune. Hearing the battle, Hamilton rushed into the room just in time to see Eva thrust a knife into the heart of the nurse. In trying to break up the fight he was cut in two places. Mary ran from the room and died on the parlor sofa. Eager to escape the scandal, Robert Ray Hamilton went into partnership with John Dudley Sargent, a stage coach driver in the Rocky Mountains who proposed establishing a tourist resort in Yellowstone Park. Hamilton funded the plan and Sargent acted as the “experience.” They built a luxurious hotel and lodge on Jackson’s Lake in June 1890. Sargent was arrested for his murder, but was later sent to an insane asylum. The Park Board accepted the design for the fountain, submitted by architects Warren & Wetmore, on December 30, 1903. Two months earlier it had approved the location—on Riverside Drive at 76th Street. The architects’ baroque fountain featured a spread-winged eagle above a coat of arms and a shell-shaped basin fed by a dolphin. Water from the basin spilled into a large pool. 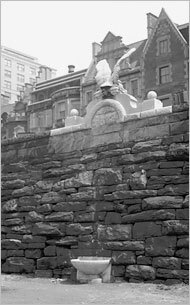 The entire Tennessee marble fountain formed part of the stone wall separating the Drive from Riverside Park. Along the rim of the pool was the inscription “Bequeathed to the people of New York by Robert Ray Hamilton"
By the second half of the 20th century the horse trough in the park was buried by accumulated soil—a total of 10 to 12 feet deep by the new century. With the parkside marble bowl long forgotten, the “man and beast” comment resulted in the lavish ornamental fountain on the Drive being termed a “horse trough;” a reputation it still carries. In fact, Hamilton’s will does not mention the "ornamental fountain" being used by horses, and its positioning makes that improbable. Carriage drivers would have to direct their horses onto the sidewalk to take a drink. Throughout the 20th century the marble fountain suffered vandalism and neglect. The eagle’s beak was smashed off and the inscription was eroded to nearly illegibility. Riverside Drive residents did their best, planting flowers in the no longer functioning basin. In the meantime, the stunning marble fountain continues to be deemed a horse trough--an ironic similarity to the memory and reputation of its donor.